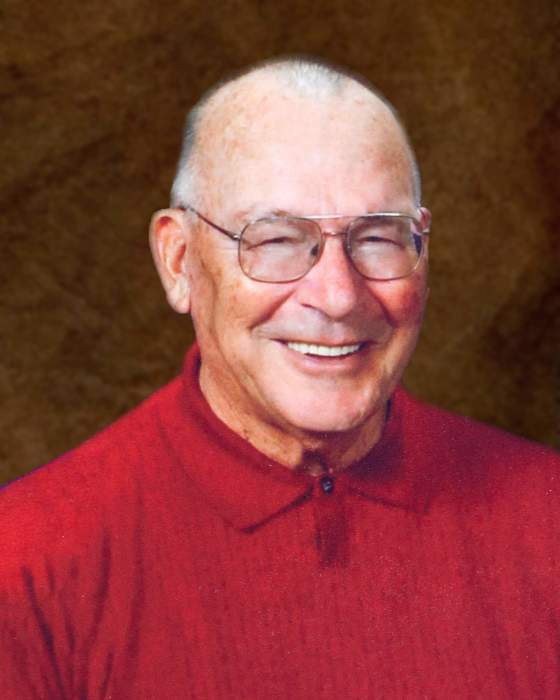 Edward L. Herzog, age 87, of Culberton, NE passed away Wednesday, January 23, 2019 at Brookdale McCook. Ed was born August 13, 1931 to parents Fredrick and Katherine M. (Miigerl) Herzog in Kearney, NE. He was one of four siblings. Ed attended school in Kearney, graduating from Long Fellow High School in 1950. Following high school, Ed enlisted in the United States Army. He proudly served his county during the Korean War, specifically in the Occupation of Japan. Following his honorable discharge in 1954, Ed furthered his education by attending Kearney State College, obtaining his Bachelor’s Degree in Secondary Education. Ed began his teaching career in Indianola, NE where he taught high school for ten years. He then began a twenty five year long career with Culbertson Public Schools, teaching high school math and science. Ed retired in 1994. On June 5, 1971, Ed married Leila S. (Thorstenson) Herzog in McCook, NE. The couple was blessed with one daughter, Kathy. Ed was a member of St. Patrick’s Catholic Church in McCook, St. James Parochial in Kearney, the Knights of Columbus, American Legion 133, Nebraska State Education Association, Nebraska State Education Association – Retired, and Heritage Hills Golf Course. His hobbies included photography, golf and bowling. Ed was preceded in death by his parents; his wife, Leila Herzog in 2006; brother, Donald Herzog; brother and sister in law, Leonard (Lois) Herzog; and brother in law, Charles Dyke. Those left to celebrate his life include his daughter, Kathy Herzog and Daniel Gerlich of Ogden, UT; two grandsons, Alexander Herzog and Brayden Herzog, both of Ogden, UT; special friend, Norma Wilson of McCook; and his sister, Dorothy Dyke of Kearney.